In the midst of this crazy, digital age, you might hear the argument that as long as you have a Facebook business page and are on social media platforms, you don’t need a website. First, that is totally untrue. If Facebook pulled the plug and disappeared tomorrow, all of your content, photos and followers would go with it — and what would you be left with? A website is an absolutely necessary marketing platform to have. It’s a space that gives prospective clients a chance to learn more about your brand and what you can offer them. You also look more professional, legitimate and credible. Often, it can be tough enough to drive traffic TO your website — to check out all of those great things about you and your services, products, or both. Because of this, it’s even more important to KEEP those individuals on your website for as long as possible. 1. Make it really clear who you are and what you do. In the first few seconds, if it’s difficult for someone to figure out what your website (or business or blog) is about, they’re going to make a quick exit. Make sure that your logo and name is one of the first elements that they see — as well as some quick hits about your offers. 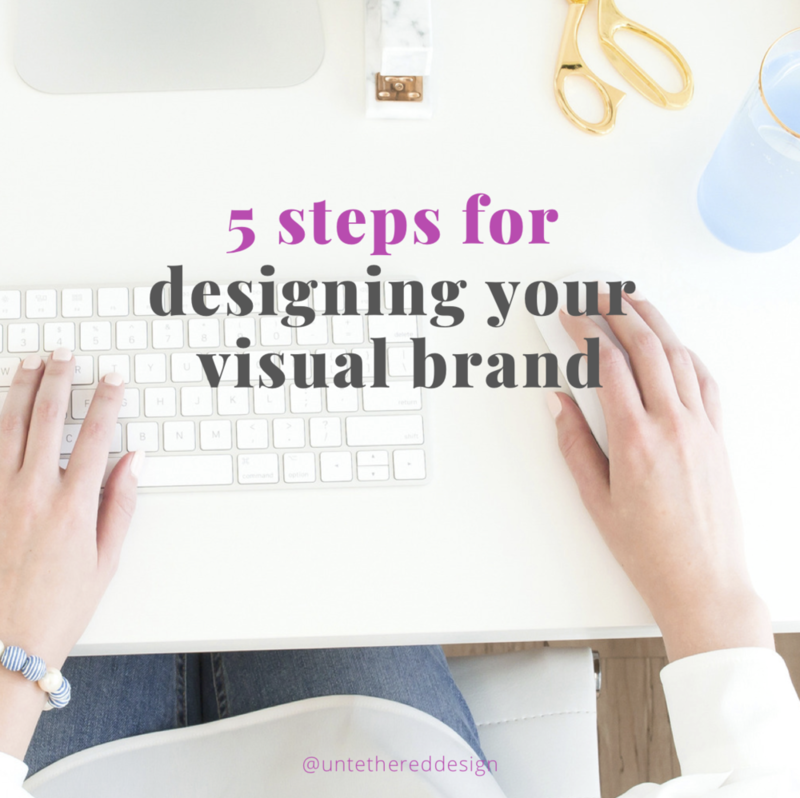 For example, when someone visits my website, they should be able to quickly figure out that I’m a graphic designer, that I offer branding and monthly retainer services and that I primarily focus on working with feminine brands and female-driven small businesses. If someone isn’t looking for what I offer, we might not be a good fit in working together and that’s OK. 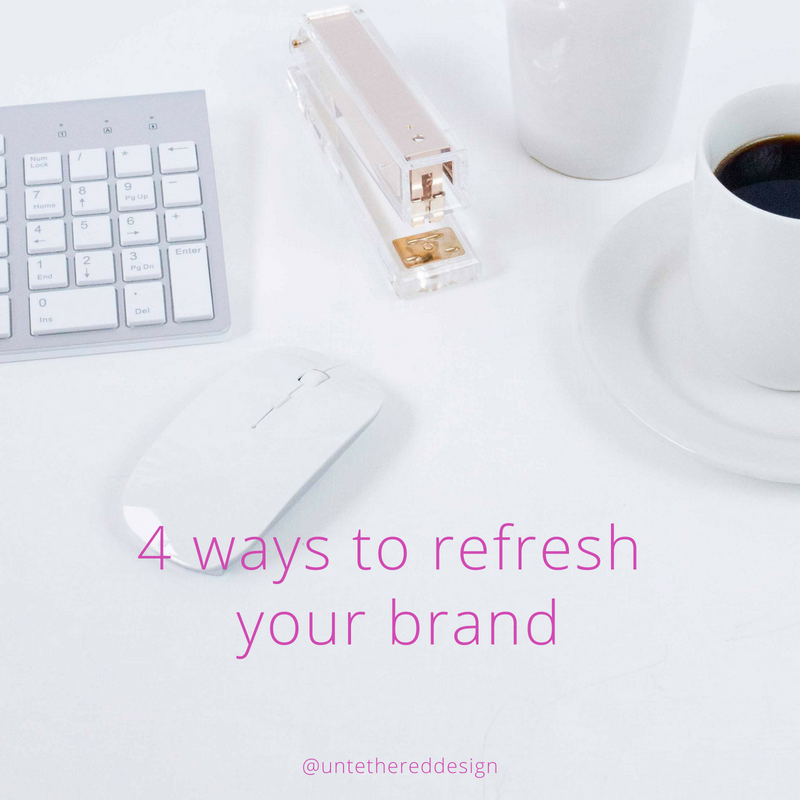 But, if a female business coach is looking to go through a rebrand and she needs a quick turnaround, then I will probably be the right girl for the job. She will see that — and continue to click through to other pages — to learn more about me as a person, my pricing — and what months I have open to book package jobs. 2. Provide a call to action — in more than one place. A call to action is crucial if you want prospects to either keep following you or contact you in some way. This can be in the form of an email newsletter sign-up, an opt-in to download a freebie that will offer them some help and value — or something as simple as a link to your contact page. CTAs keep people interested in and in contact with you — even after they leave your website. They’ll take action if they like what they see and want to talk to you about a possible hire — and they’ll take action even if they don’t have the need or budget to afford you right now, but they might in the future. Or, they want to learn more about or from you. You can sprinkle these in a couple of different spots on each page, or at the end of each blog post. There really can never be too many! They can be a mix of embedded forms directly on the site — or pop-ups. You want to encourage them to call, email, subscribe, share, follow, download or buy. 3. Keep the design simple. As a designer, of course I can’t stress this point enough. Simple design is always the best kind, whether it’s a logo, website, PDF, social media graphic or anything else. The less busy that a page is, the quicker that a visitor will be able to scan it. If the branding is on point, navigation is easy to follow and the visuals are engaging, people will definitely stay around longer. 4. And, the content short and sweet. 5. Integrate photos + videos! Just like good and simple design, photos and videos can help to greatly elevate a page’s dynamic, look and feel. People relate to people and like to see photos (or videos) of them. This is why I find that posting a photo on Facebook creates so much more engagement than just a status made up of words. People would truly rather read a couple of quick sentences about you and then literally SEE you. 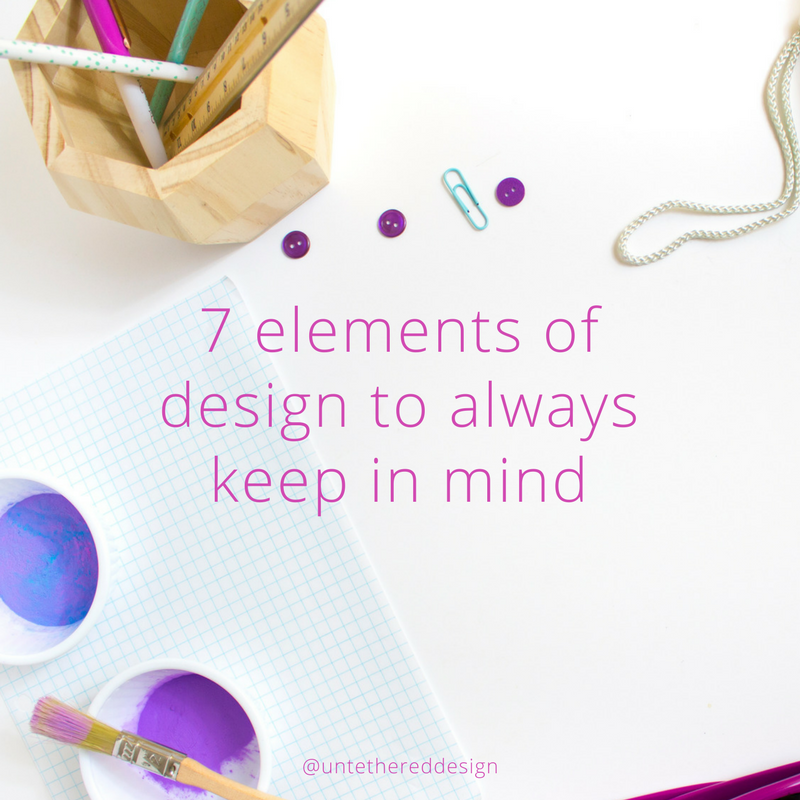 It’s just human nature and simply a golden rule of design — to keep a healthy balance between copy and imagery. And, although there are many who would still rather read books than watch movies, I’m a big believer that someone will watch a quick 2-minute video of you over reading an exceptionally long blog post or 4-5 paragraphs of lengthy copy about what you can offer them. Adobe Overview: When you should use Photoshop, InDesign and Illustrator and what are the differences? The Adobe Creative Suite is an all-encompassing software platform (that is strictly cloud-based now) and is absolutely the industry standard in today’s design and branding world. Whether you need to create social media graphics, a mockup for your website, a downloadable PDF to host on your website or a logo identity, Photoshop, InDesign and Illustrator all have you covered! As stated by Adobe, Photoshop is meant for image editing and compositing. InDesign is intended for page design, layout and publishing and Illustrator focuses on vector graphics and illustration. Below, I’m quickly breaking down specific documents and materials that you can create in each one (that you might not have already been aware of) — and also when and why you should. Each program serves unique purposes and all can play well together. Photoshop: As you can probably guess, this is the go-to tool for editing photos. Do what you need to do when it comes to cleaning up a photo before you print it or use it within its sister programs, InDesign or Illustrator. You should know that it’s a raster editor, which means it’s perfect for working with an image that is made up of a certain amount of pixels — which changes the quality when it’s resized. Beyond all of the ways that it can alter photos, it’s also handy for creating web-based graphics. I create all of my social media images (Facebook cover photos, Instagram posts and more) as well as blog graphics and any web banners, icons or online ads. I also use it to create website mockups or email newsletter layouts that I will then pass off to be coded by a developer. When it comes to creating graphics that will be printed, however, I open InDesign. InDesign: Think of this program as your desktop publisher. I have designed everything imaginable in it that can be printed (or downloaded/viewed digitally) — magazines, newspapers, newsletters, brochures, multi-page PDFs, business cards, banners, billboards, menus, pocket folders, notepads, invitations, stationery, album covers, books, posters — you name it. The list is endless. Mainly, when you’re looking at designing something that involves a lot of text, automatically plan to use InDesign. Aside from its print purposes, you can also create digital graphics, e-books and more — just make sure that when you initially setup and export the document (as a PDF or JPEG) you choose web/interactive options, not print ones. So now, we’ve covered editing images and creating graphics for print and web. Where do you turn when it’s time to design a logo or create an illustration? You guessed it, Illustrator! Illustrator: This is a program that I was introduced to and took classes in years ago, after I already started finding my way around Photoshop and InDesign. Although I’ve known designers to use Photoshop for creating logos, Illustrator is absolutely the only go-to for me. This is because unlike Photoshop (which is raster-based) Illustrator is vector-based — which means that the images you create in it are going to be scalable to literally any size (no matter how small they’re reduced or how big they’re enlarged) and not lose their quality or resolution. For example, if you scale a photo that doesn’t have a high resolution to begin with to fit a large space (like a 4x6 photo blown up to fill a billboard next to the highway) it will appear very fuzzy, unclear and pixelated. However, if you enlarge a vector-based logo that is originally 5”x5” in size to fill a 500’x500’ space — the design will stay perfectly intact. Aside from logos, I also create illustrations and brand icons in this program. 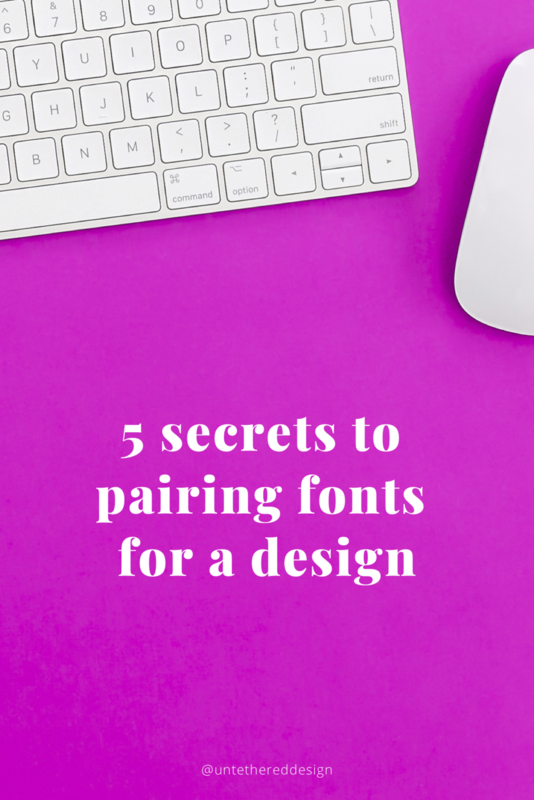 If you are tasked with creating a design that involves some text (but not multiple pages of it) you can also create PDFs, business cards, posters and basic templates. However, I still personally use InDesign for those. Leave a comment below if you still have a question about the proper program to use when creating a certain project. I would be happy to answer it! Although we are experiencing an Indian summer here in southern Indiana, the leaves are changing and the temps are dropping. I’m arranging pumpkins and mums on my outside porches. It’s official: fall is finally here. 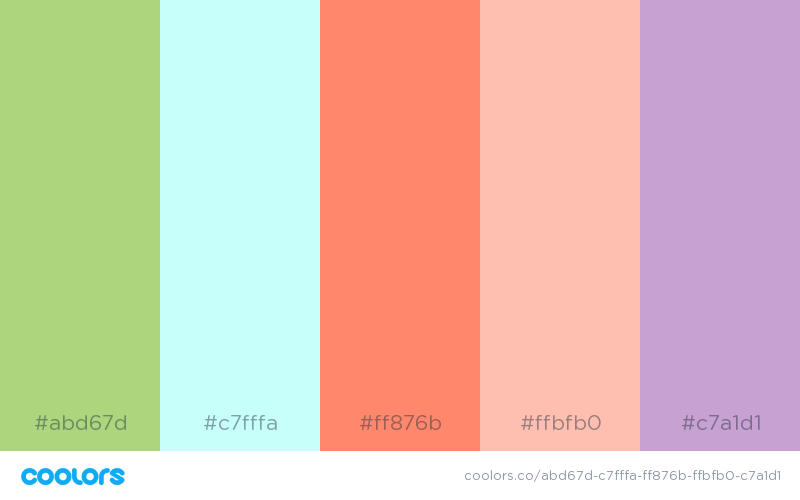 With the changing of the seasons, as a designer, I often like to read up on the emerging color trends that accompany them. 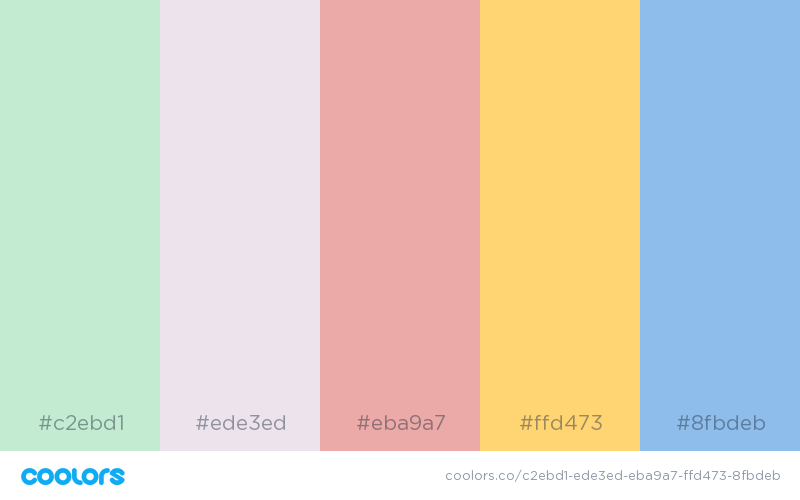 While it’s obviously important to stick with your brand colors for consistency purposes, I’m a big believer that it’s OK to experiment with some different palettes if you’re creating or launching something that is seasonal or holiday-specific. 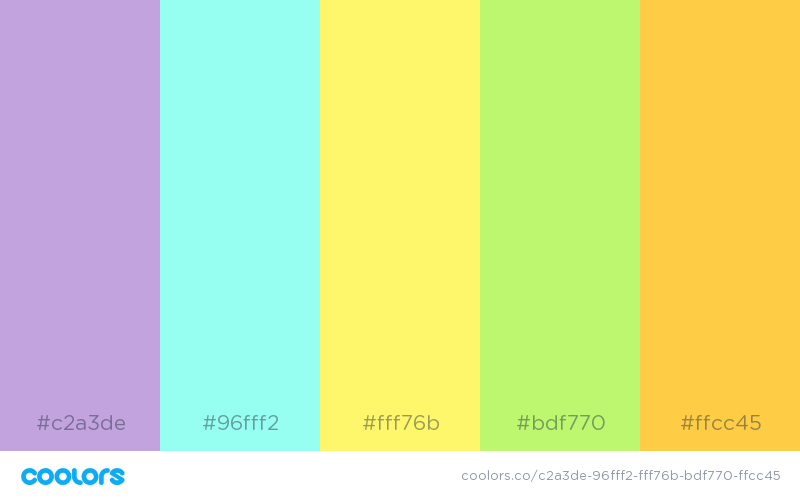 As you might know from one of my past blog posts, colors have such power in evoking certain emotions and feelings. Add the magical transition of a new season to the mix and you can have a lot of fun with graphics for social media use, blog posting, sales page layouts and more — whether you work with a designer or DIY it. 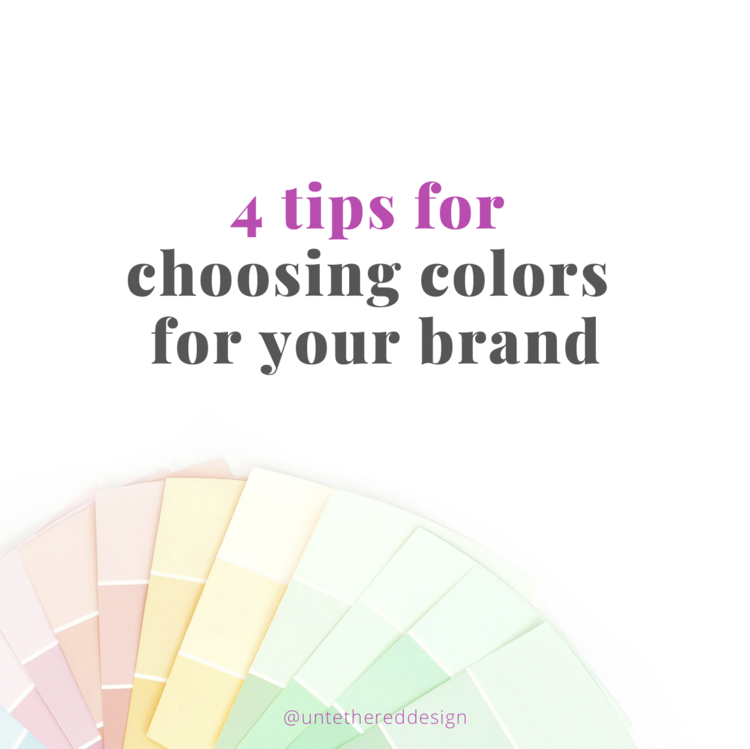 With that, take into consideration these unique colors + combinations and leave a comment below with a link to some of your seasonal print + digital pieces! To me, the popular fall palettes this year that seem to work well are mixes of warm colors. Think along the lines of burnt oranges, wines and caramels — with some blue + green hues thrown in to add a touch of “nature.” They’re all inviting and derived from the outside environment. Clearly, grey is the perfect neutral tone that isn’t just meant for winter. 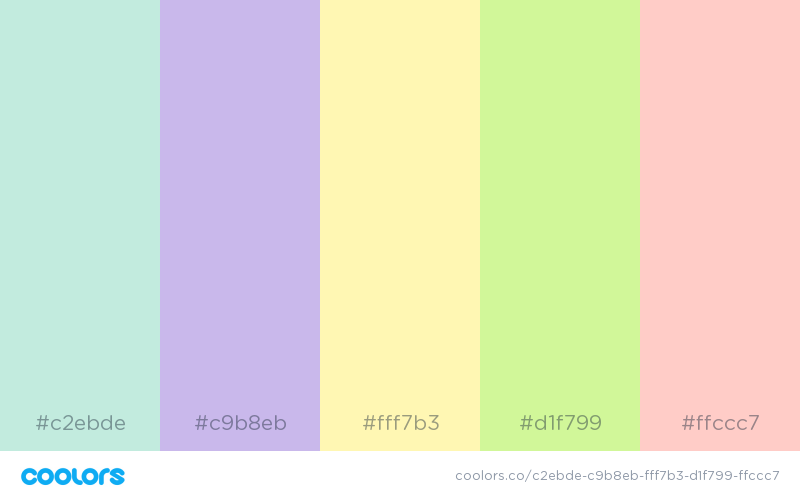 It’s a great choice for a secondary color to be used with almost any brand palette (I use it constantly.) However, it’s an obvious choice for a classic, timeless and clean look. Combine grey with with shades of lilac, navy, tan, gold and blue — and you have the ultimate winter palette! 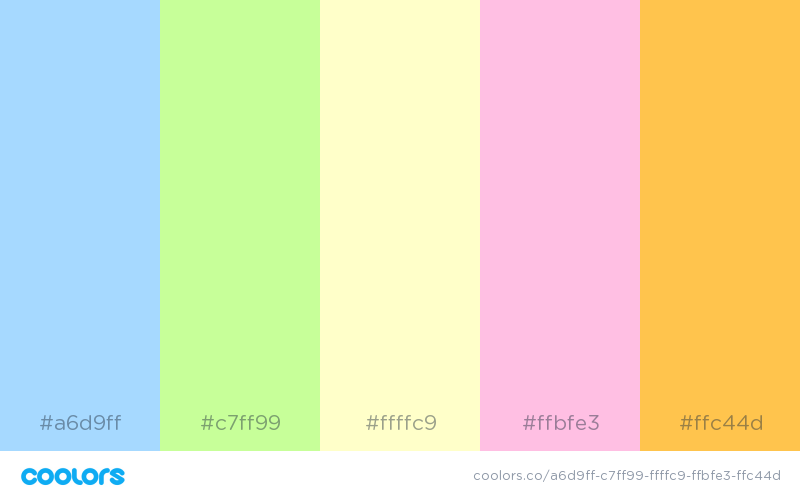 To dive in further, I’ve provided links to more detailed palettes that I briefly touched on above. Which ones are your favorites? Time is money and we certainly never seem to have enough of either, right? To save you time today, I’ve crafted what I consider a “mini post” — something short and sweet, but most importantly valuable and useful — to help you manage your current and future business partnerships. Whether you are a designer, or you’re on the client end who has just hired a designer, the below tips will help you manage not only time, but also expectations, that will result in the development and delivery of quality work that leaves both parties feeling happy and satisfied at the end of the project. 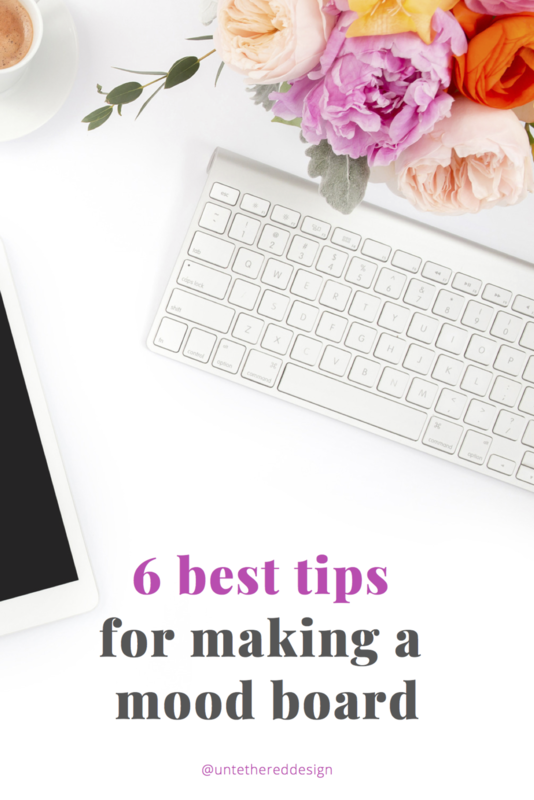 These tips stem from my own experiences in working with different client personalities over the years and also from issues that I still struggle with today (and can still work on!) Comment below and let me know if you can relate, if these will help you or what other issues you have battled with before — I can’t wait to hear them! Whether you’re working together for the first time or not, these practices should be considered and executed carefully. They might seem like no-brainers or even slightly tedious, but they are the little details that if taken care of in the beginning, will save a lot of time and headache in the end. Duh, right? If you’re both local, setup an in-person meeting. This doesn’t have to be formal; it can even be a 30-60 minute chat at a coffee shop. Or, setup a phone or video conference/consultation that allows you to meet and get to know each other. Because most of my clients are spread out across the country, I use a free account with Zoom (similar to Skype) to setup calls that usually last 30-45 minutes. This allows the conversation to be a little more personal and “face to face.” The client will get a more visual experience that they just simply can’t get on the phone. Sometimes these are organized, where I stick to a script (or they’re more off the cuff and relaxed) and I let the client talk the most, to tell me about who they are and what they need. I let them know what I do and the benefits of working with me. We don’t even always talk about pricing. But overall, you just need to organize some kind of meeting that allows you to get a feel for each other, processes, expectations, timelines and turnarounds — to see if you’re even a good fit. 2) Sign a contract or setup a timeline/outline of expectations and deliverables. If after the initial consult, both parties decide to work together, some paperwork needs to be squared away. It’s the smartest thing to do legally and really, it just allows both of you to know what to expect and when. Beyond the basic legal jargon you’re signing off on, it’s a good idea to setup a timeline of deliverables. If I’m working on designing a brand for someone, I might setup when they’ll receive logo concepts, a certain number of revision rounds, when website development starts, when they’ll receive files, etc. This way, we are both on the same page. I can’t stress this one enough! Over the years, I’ve dealt with clients who are apart of teams and I will get 10 different emails from 10 different people about 10 different things — and I get easily confused and ultimately waste a lot of time trying to decipher the messages. If the client has other partners or team members involved, regardless, make ONE person the point of contact for the designer. All emails and calls should come from them. This allows the designer to know exactly what is going on, what to create and when, who to send it to and receive approval from. I promise that it makes their life MUCH easier! Also, it’s important to try to stick to emailing within one message chain — and for the designer to not be sent emails and files piecemeal. Again, five different email threads about five different things can get really confusing, really quickly. This is one of the most important aspects to keep in mind — how are you going to actually communicate and work together? Will it be done primarily through email, Google Docs or should you setup a project within an online management tool like Asana? Again, in order to stay organized, manage time and expectations, it’s important to setup a system that works for both of you. This comes into play with general communication, sending proofs, making edits, giving/receiving approval and crossing items off the task list. It’s also important to figure out the way in which the client will receive final print and digital files. Will they go into a Dropbox folder, be saved to another cloud account of some kind or even be delivered the “old-school” way via a USB drive? No matter the systems, they just need to be setup and properly used. Create a game plan and stick to it! I, like many other business owners, have always been a goal setter. Whether it’s an aspiration in my personal life, professional design career or with my show horses (and especially when I was in school) — I am always 110% in, dedicated, focused and determined to get and have what I want. I thoroughly enjoy working for those things, because there is so much more reward, happiness and pride that comes from knowing you put not only your mind, but also your money, your heart and your energy into something that you feel is worth the sacrifices — and you can see tangible (and feel emotional) results from all of the efforts. It’s an incredible feeling, isn’t it? It’s really all the feels. One of the big goals that I set for myself at the beginning of my career was to one day be able to quit whatever design day job I was at and work for myself full-time. I have always had an entrepreneurial spirit and saw myself in a cute little office or studio space somewhere one day, decorated in my style, music playing, candles burning, cranking out designs and brands for clients, running in between lunch and coffee dates and having a schedule with flexibility that fit my life, allowed me to have personal freedom (which would then benefit my business even more) and be able to take off when I need to travel, go to horse shows and more. Yes, I would be doing all of this, I told myself. One day. I knew that working for myself would not come easily or quickly, right out of college. And, I didn’t want it to. I know some business owners who jumped into running their own gigs at 22 and never really experienced working for someone else (and while that’s great for them and there’s nothing wrong with it) — I knew that I wanted to pay some dues in a different way, really learn how to work hard, have someone else holding me accountable and how to work with a team of people. All of these things would only help me in running my own business one day. So, in June of 2008, I was a fresh-faced college grad, 21 years old and ready to take on the world. I held a couple of different design internships that gave me experiences in non-profit and corporate environments. For the next eight years, I worked in mostly agency, which was the best move for me. Agency life taught me how to manage multiple projects, clients, be professional in emails, on conference calls and in meetings. All of the wonderful experiences absolutely taught me so much, including many practices and ways to do business that I use today. During those eight years of working for other people, I always freelanced on the side and built up a nice client base of my own, who used me regularly for a multitude of projects (and some still do!) Fast forward to January of 2016, this year. I was 29, engaged, planning a wedding and move to a new city — and it was then that I took the leap to officially opening Untethered. People might have thought I was crazy (heck, I did at times!) because of everything going on at the same time in my life. However, I’ve always been a multitasking queen and figured, “why not?” If I’m doing all of these other big and important “life things” — I might as well add one more to my plate. The one I had been planning on for so long. And, I’m so, so glad that I did. 1) How to point blank, be a PROFESSIONAL. There are seriously so many things that just being in an office environment around professional people can teach you. I learned how to dress for regular days in the office, meetings with clients, luncheons and evening networking events. I also learned how to answer emails. It sounds simple, but proper etiquette is crucial for communicating with clients and vendors in the best and most efficient ways. I still write many emails in the same tone and with the same messaging and sign-offs that I did at my old jobs. The same goes for phone calls, when you’re sitting in meetings, or you’re presenting in front of an audience. You must know how to be poised, be able to properly enunciate, take your time and communicate your ideas in ways that make sense (and won’t make anyone fall asleep!) Being professional also means always knowing what you’re responsible for, making sure the job gets done, owning your wins and losses and never letting your co-workers or clients be negatively “surprised” by anything that might pop up, that’s really your fault. 2) How to budget your time, write proposals and manage multiple clients/projects and expectations. This is one of my biggest takeaways from working in an agency environment. In corporate, you probably didn’t have to always “bill your time” back to clients or to specific projects, but it’s still a great skillset to have. When you know how to manage your time, have a quick turnaround on jobs without the quality suffering, write proposals and plans to clients (so that they know exactly what they’re getting from you) and then managing those multiple clients and projects all at once, you will be good as gold. Know how to work efficiently, how much time you will need for certain tasks, how to manage how one client usually is (behavior or expectations-wise) over a client who might be the opposite — and still get the job done. 3) How to be a team player. As an entrepreneur, you might enjoy working on your own, or from home, but there is nothing wrong with learning how to play well with others. Having co-workers taught me how to communicate my ideas, how to take constructive criticism, how to find solutions for problems and how to have another person’s back during a time of trouble. I still miss that from time to time now, but I know that having that experience enables me to work well with my clients, vendors/printers and other individuals or designers to whom I might need to delegate or outsource work. 4) How to have humility, patience and respect. A lot of people (especially millennials) want it all — and they want it yesterday. It’s great to be passionate and know what you want, but you need to learn how to work for it, take critiques from others, be told what to do and held accountable by others who are older and have been at a job longer than you (and quite frankly, know more than you.) Learn how to wait your turn, know that your time is coming, you need to do what you’re told and SOMEDAY, you too, will be telling someone else what to do. Patience, (and respect) grasshopper. 5) How to be a leader. I’ve had amazing bosses and some not so amazing. I am glad and thankful that I had the bad, in order to appreciate the good, but I won’t ever miss driving to work every single morning with a pit in my stomach (like I once did, years ago.) Past internship and other job experiences showed me great examples, but the one that sticks out to me the most is the boss who I had for almost 5 years, before I left to get married, move out of the state and run my business full-time. She demonstrated what being a leader was – and that it’s totally different from being a stereotypical “boss.” You know the one, who you see in the movies and who scares you to death when she walks past your cubicle. Very “The Devil Wears Prada.” Not the case with this one. She showed me how to properly manage employees, treat them with respect, REWARD them and in turn, they will keep developing good work for you and your clients. Getting to know them personally, talking to them like a normal human being and not someone that they’re above is key. She also taught me how to take a genuine interest in clients and form trusting relationships with them, so that they will keep coming back for more work. Most of all, she was great at not micromanaging employees with every single thing that they do. She trusted that they would do their job well, like she hired them to do. And, that they needed to learn to fly on their own. Again, when someone is a good person, treats people well, gives constructive advice and feedback and rewards (from time to time) — their employees are going to hit it out of the park, every single time. Tell me, what types of things did your (or does your) 9-5 day job teach you? Do they help you in running your business on a daily basis? Leave a comment! 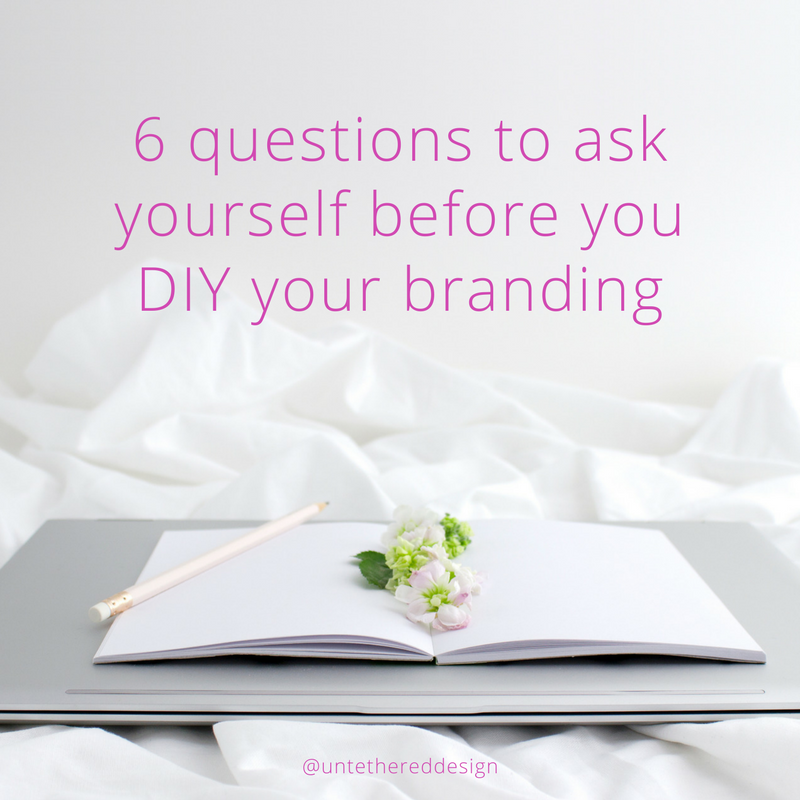 Something that helps other business owners I know take care of things and makes them look and feel legitimate, is having professional branding in place. Along with client and project management, social media, blogging and advertising, it’s one of the biggest secrets to a business attracting followers and paying clients — and achieving overall success. Sign-up below to receive the link to download my new and free PDF tool “Branding 101: What it is, what it isn’t and why you need it” — right now! 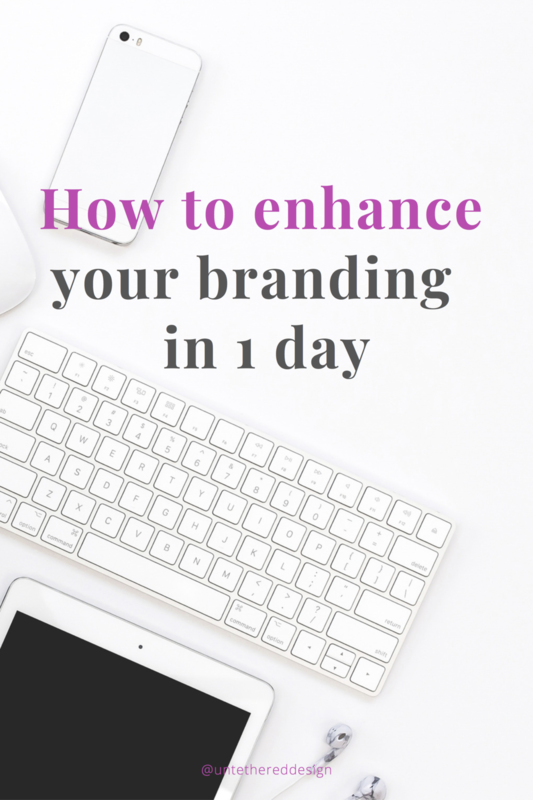 This quick and simple guide will walk you through why it’s important to establish consistent and memorable branding within your biz. If you have any questions after going through it, let’s connect and chat some more! If you do decide to hire a professional, I have branding “starter” and “expert” kit packages available for businesses at different stages and budgets. Let me know what you’re interested in today! Once you have decided that you want to DIY a few things, hire a professional for the rest or hire a professional for all of it, it might be good to reference my free guide and keep it handy near your desk. Branding is one of the biggest secrets to a business attracting followers and paying clients — and achieving overall success. Sign-up below to receive the link to download my new and free PDF tool “Branding 101: What it is, what it isn’t and why you need it” — right now! 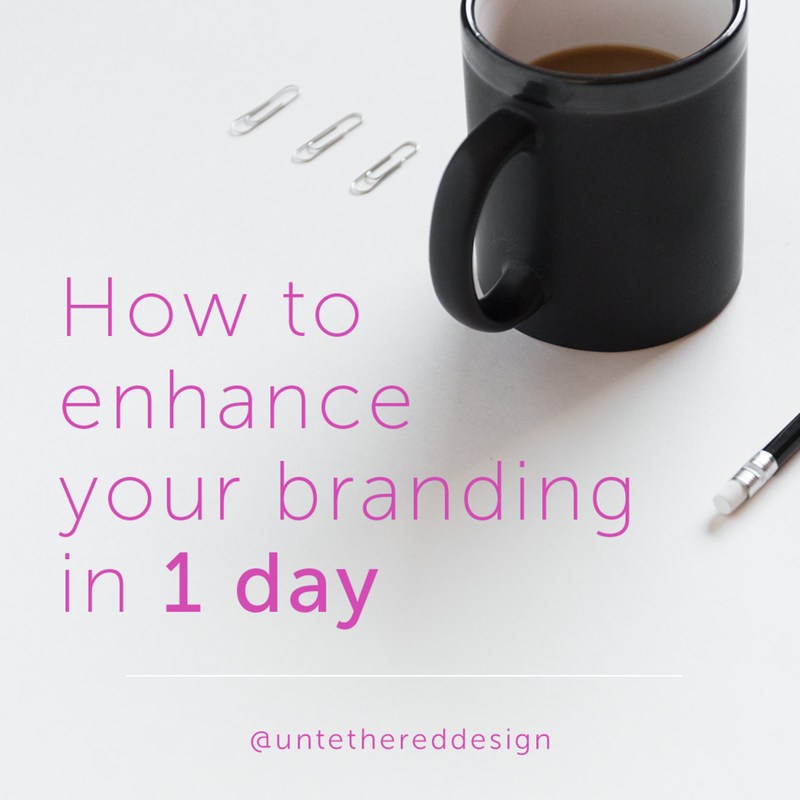 This quick and simple guide will walk you through why it’s important to establish consistent and memorable branding within your biz. If you have any questions after going through it, let’s connect and chat some more! If you do decide to hire a professional, I have branding “starter” and “expert” kit packages available for businesses at different stages and budgets. Let me know what you’re interested in today!